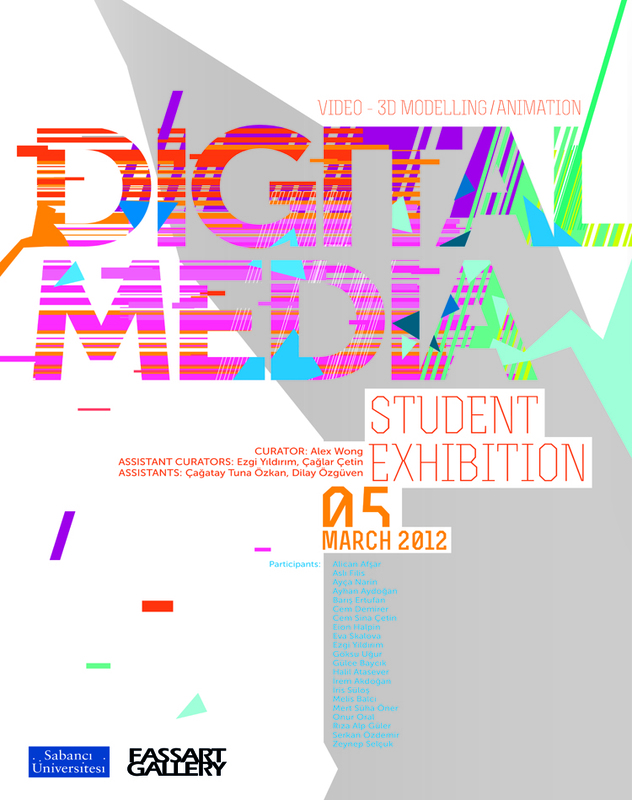 Student works of Video- 3D Modelling / Animation. Curator: Yoong Wah Alex Wong. Participants: Alican Afsar, Asli Filiz, Ayca Narin, Ayhan Aydogan, Baris Ertufan, Cem Demirer, Cem Sina Cetin, Eoin Harpin, Eva Skalova, Gulce Baycik, Ezgi Yildirim, Goksu Ogur, Irem Akdogan, Iris Sulos, Riza Alp Guler, Serkan Ozdemir, Zeynep Selcuk, Melis Balci, Mert Suha Oner, Halil Atasever, Onur Oral.